Tomorrow’s bridges, tunnels and other engineering structures might be built with a different material – a type of “smart” concrete. 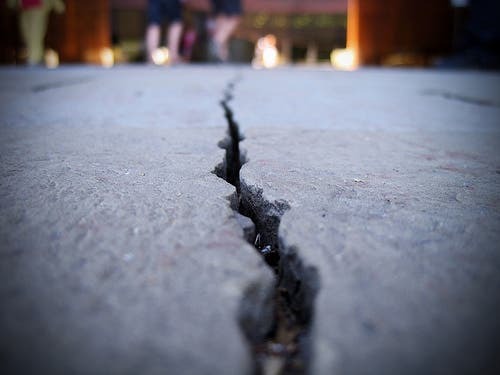 Belgian researchers at the University of Ghent have created two types of self-repairing concrete, using polymers and bacteria. The concrete was developed as part of a pioneering European project called healCON. The idea of developing self-repairing materials is not new, and it has been suggested in several materials, though it hasn’t been applied at a truly large scale. Bath University researchers have also suggested using self-repairing concrete last year, and the topic seems to be picking on a lot of steam. “You do not have healed concrete regain its strength completely. It’s strong enough as it is. What you do want to regain is the liquid tightness and impermeability, so that durability still remains fine”. Basically, special polymers are added into the cement mix, and make it so that small cracks are healed. As scientists explain, small cracks aren’t a big problem in itself – it’s the fact that they tend to grow into bigger cracks. “If a small crack starts healing immediately, then there is no risk that it grows bigger. So the total structure won’t run the risk of falling down. We want to stop the problem before it is big enough”. 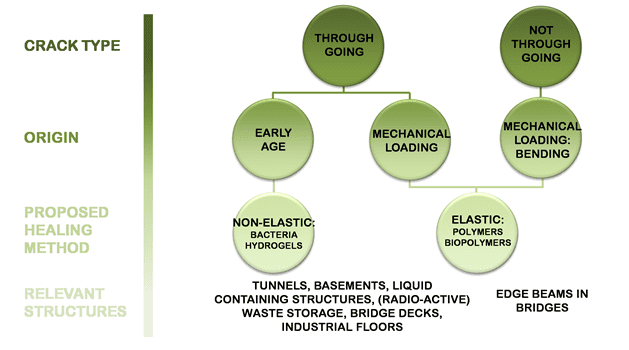 In order to design the polymers, the team took inspiration from nature. Biological systems such as bones, skin or plants have the capacity to detect damage very quickly and repair it – they wanted to do the same for concrete. Needless to say, the potential of such a self-healing concrete are huge, in terms of stability and reducing maintenance and repair costs. They also tried another approach – one which used a more organic approach to self-healing concrete – namely bacteria. “These are bacteria that we have isolated from locations in our planet that have conditions which are similar to concrete,” says Henk Jonkers, a biologist at Delft University of Technology. “One condition is rock-like. The other condition is being very alkaline, so very high PH conditions. These bacteria like to grow under those conditions. These bacteria are not pathogenic, and are not harmful for human beings or for the environment”. According to reports, both approaches passed initial lab tests. For example, with the bacteria solution, as soon as cracks appear, the bacteria starts to produce calcium carbonate and fill them up. It’s not clear at the moment exactly how impenetrable this filling is though. The next steps are to test the technology in big-scale real life conditions, test the impenetrability, and ultimately conduct a life-cycle assessment to see just how much money and effort it can save. “The initial cost will increase. But then if you can reduce the maintenance costs and you increase the service life of the structures, then at the end, this self-healing concrete presents an economically positive picture”. You can find out more about this project from their webpage, where you can also browse their publications.